Just had to share this! Walking tonight in Boston’s Back Bay, I was stopped in my tracks by a trio of spectacular window boxes. 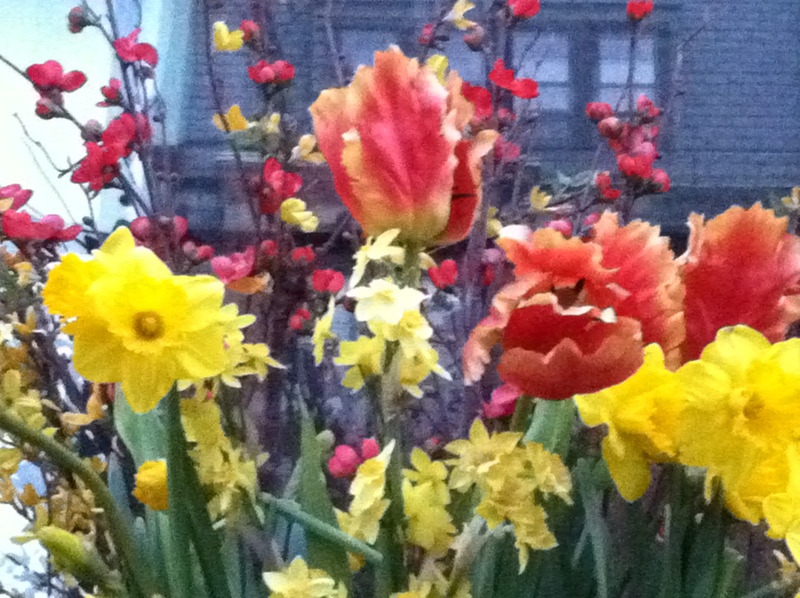 Night was falling but the red Ruffled Tulips with tinges of yellow stood out boldly. The tulips were paired with bright yellow daffodils, red ranunculus amid a backdrop of flowering branches. Just gorgeous! The Ruffled Tulips, also known as Parrot Tulips, are so unusual! Downright frilly! Pairing them with friendly yellow daffodils makes the display inviting. Daffodils are probably the easiest and most dependable flower to grow and win me over every year. The ranunculus was a lovely, colorful surprise. That flower has multi-layers of paper thin petals. It’s a hardy, cool weather perennial and is perfect for window boxes and containers. The flowering branches give the window boxes height and added dimension. The same flower and branch arrangement were seen on the stoop container. Outstanding. 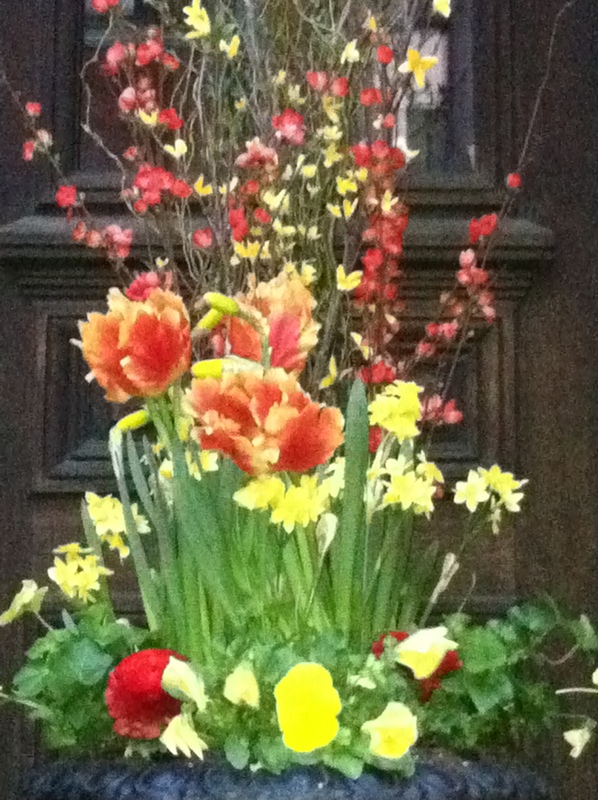 So far, this window box wins my vote for best display of the Spring season! This entry was posted in Flowers and Plants, Window Boxes and tagged cold weather perennials, Daffodils, Favorite Flowers, Ranunculus, Tulips, Window Boxes. Bookmark the permalink.